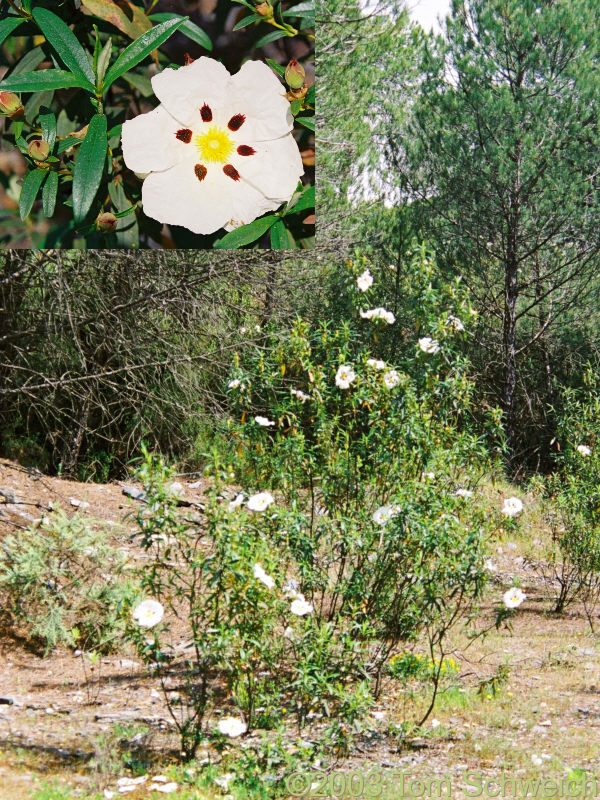 Photo: Cistus sp. common in the understory. Eastern Mojave Vegetation Cistus sp. common in the understory. I think this might be Cistus ladanifer L. It is a very common plant in the understory in the vicinity, even dominant in some areas. Other photos about Spain - Andalucia or Rio Tinto - Plants.